For June, we have super nice games coming up! One of them will be a SuperGame! Yes, the SGM is really required! I think everybody will be pleased by this release! the game that require the sgm was in the 2014 list or its one of the suprise game you forgot to put on the list...??? Twin Bee!! Oh wait, Pixel Boy claimed that one. Hmm...Only thing I could guess.. maybe Comic Bakery. Hmm.. not too sure.. yet but I really should start checking out more MSX games though.. 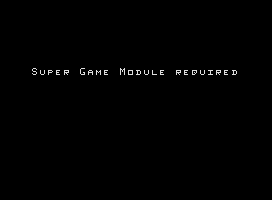 Although I doubt the SGM would be required for this port.. but I can't wait to play Space Taxi! 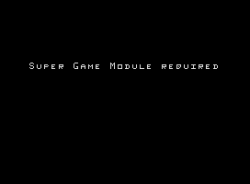 I really dig the voice feature especially..
- A surprise MSX port that no one saw coming... What could it be, Batman? I know you have other game in your pipeline that are lot of more interresting!.. i'm looking foward for them. Edited by youki, Sun May 18, 2014 5:55 AM. I didn't know there was Batman on MSX. C64 and Gameboy versions were nicer on the eyes but I'll still be all over this if its true. As long this MSX game you have on the way, have a feeling of a good port like Pippols, Magical Tree, Twin Bee, Star Force, Road Fighter and so on. You have till June 1st to guess wich game is! The hint is: I really like this game!